Visual Studio Code>Other>WakaTimeNew to Visual Studio Code? Get it now. Enter your api key, then press enter. 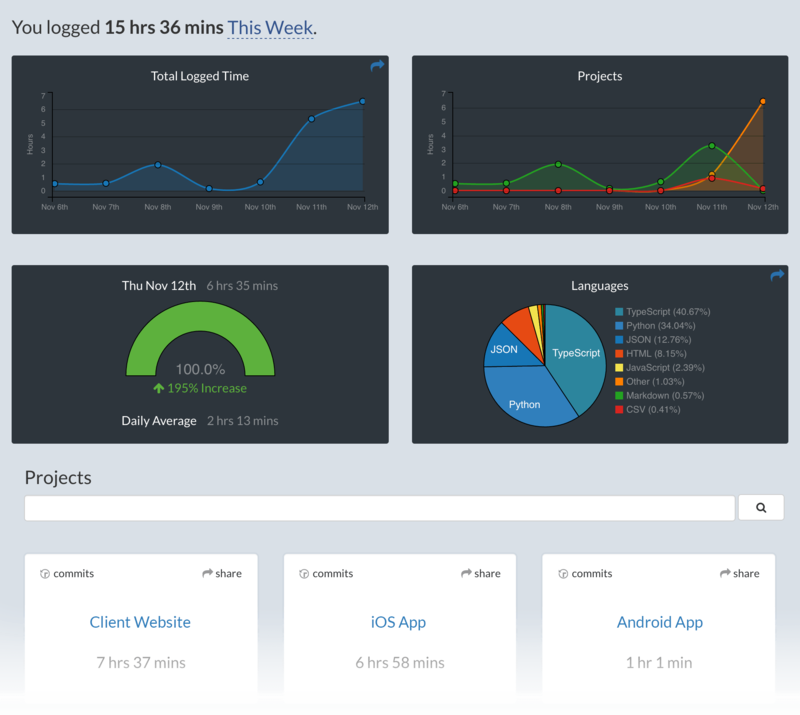 Visit https://wakatime.com to see your coding activity. Some settings are available from CMD+SHIFT+P, then typing wakatime. Settings are stored in the INI file at $WAKATIME_HOME/.wakatime.cfg. More information can be found from wakatime core. Type > WakaTime: Debug, and press Enter. Select true, then press Enter. Errors outside the scope of vscode-wakatime go to $WAKATIME_HOME/.wakatime.log from wakatime-cli. The How to Debug Plugins guide shows how to check when coding activity was last received from your editor using the Plugins Status Page. Microsoft Windows Only: Using WakaTime behind a corporate proxy? Try enabling your Windows Root Certs inside VS Code with the win-ca extension: Press Ctrl+Shift+X, search for win-ca, press Install. For more general troubleshooting info, see the wakatime-cli Troubleshooting Section.